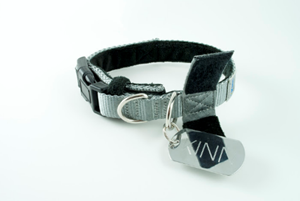 Whether they have pets of their own, or simply love animals in general, we’ve got something for every one on your list! 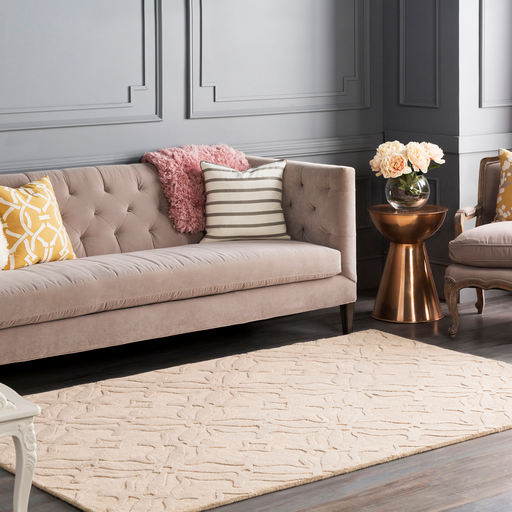 It can be hard to find creative gifts that won’t break the bank, so we’ve decided to do it for you. 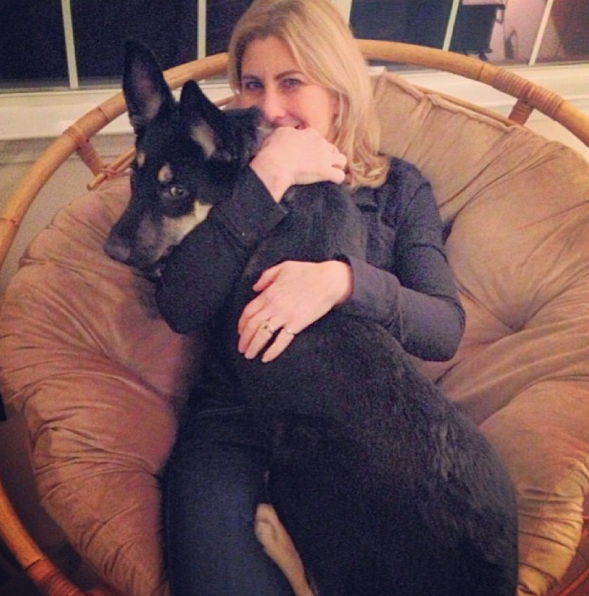 In our family, we’ve got a German Shepherd named Rocco, a Pit mix named Millie, and two fluffy kitties, Jamie & Moe. 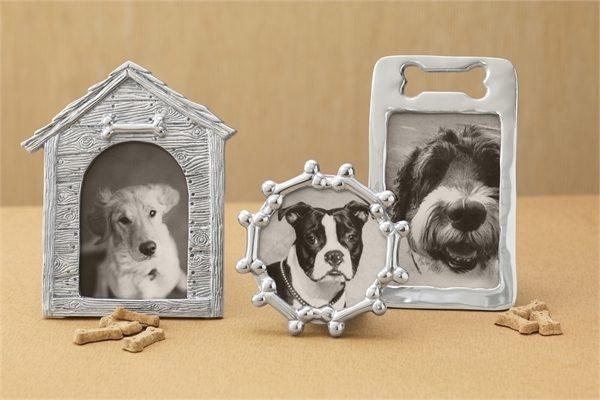 We think all of these holiday gifts would go great in their homes, and we hope you like them too!! 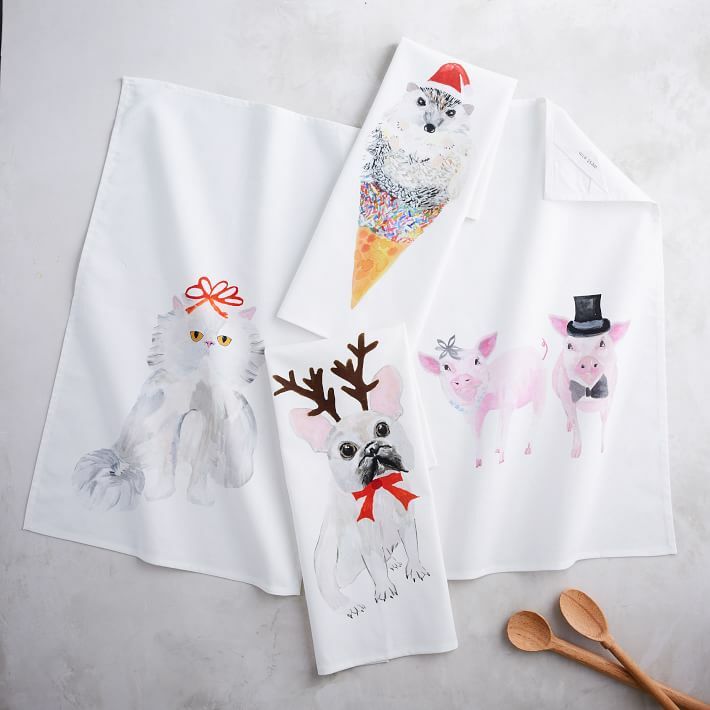 Who couldn’t use some fresh, new, kitchen towels? And festive ones, at that! 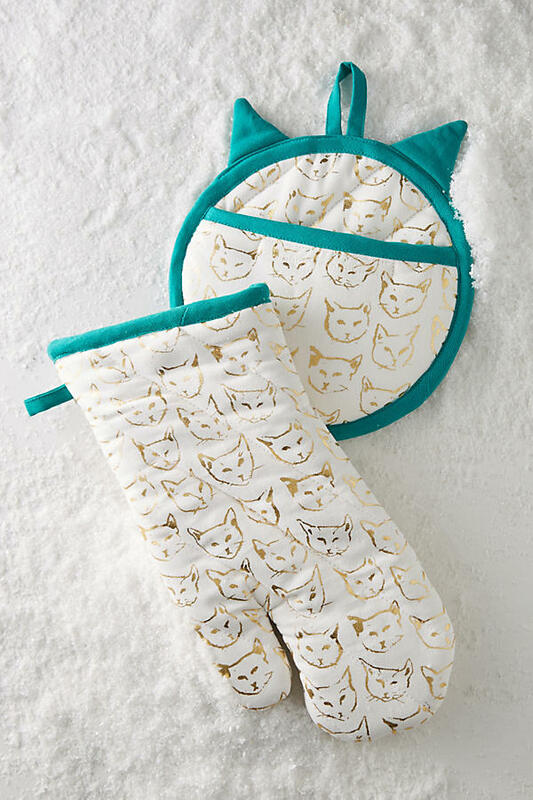 These oven mitts are so cute that they deserve a place hung up on display, not just stuck in a drawer by the oven! 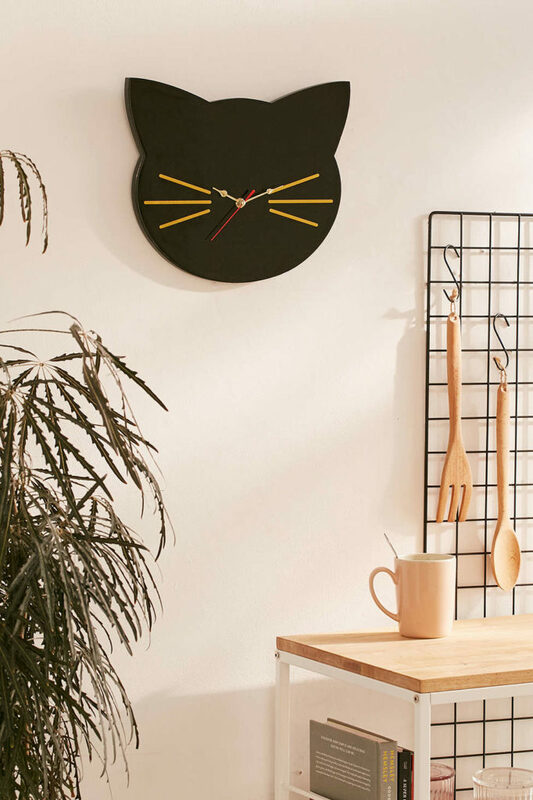 If the cat lover on your list has the wall space, this clock is just adorable. 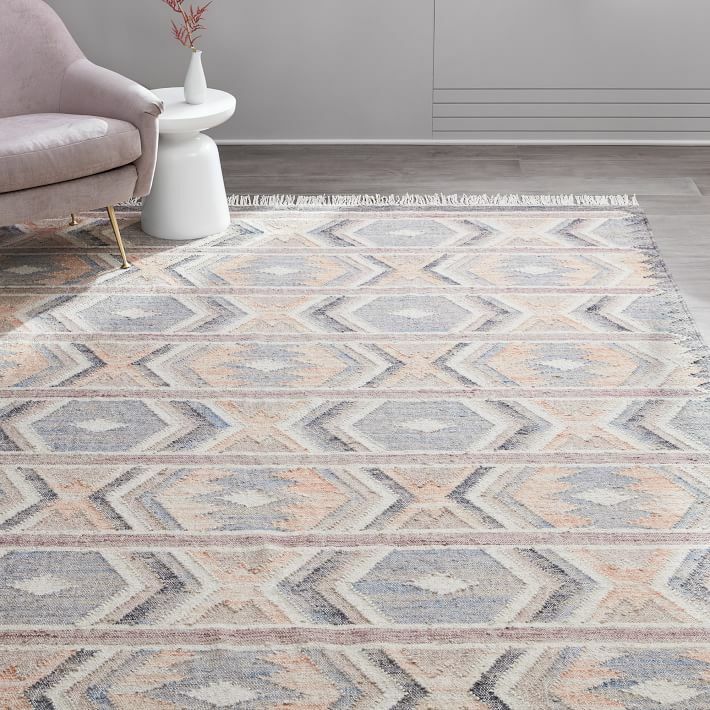 Perfect for a bedroom!! 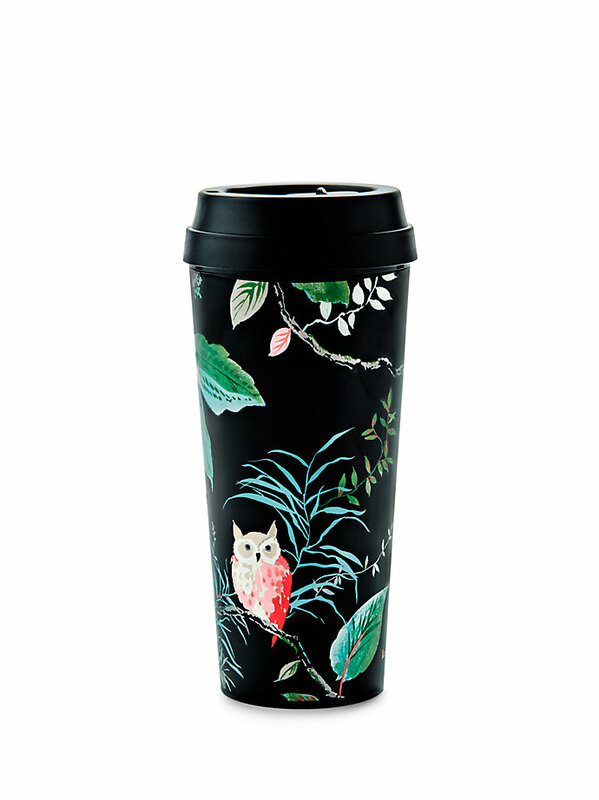 We all have someone on our list who is a bird lover- and with this Kate Spade print, how could you go wrong? 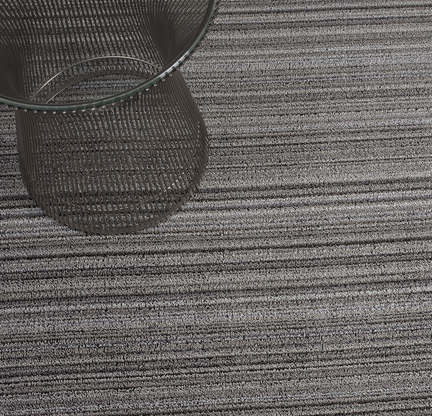 We’ve even used this Kate Spade print as a wallcovering! 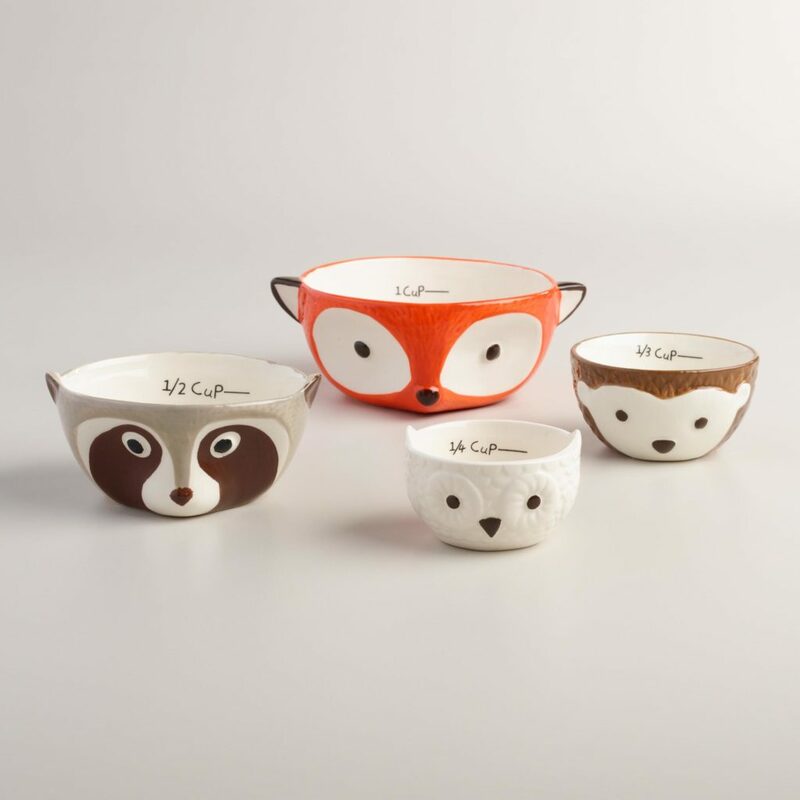 Admittedly, these woodland creatures are my favorites items on the list. I saw these little cuties in the store and knew they had to come home with me. 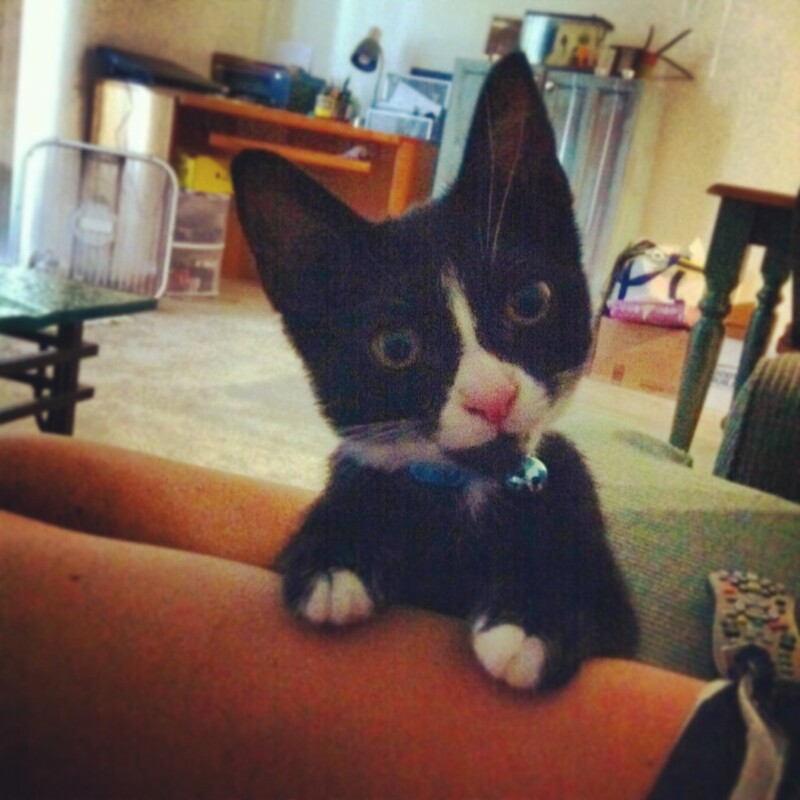 How can you resist those faces!? 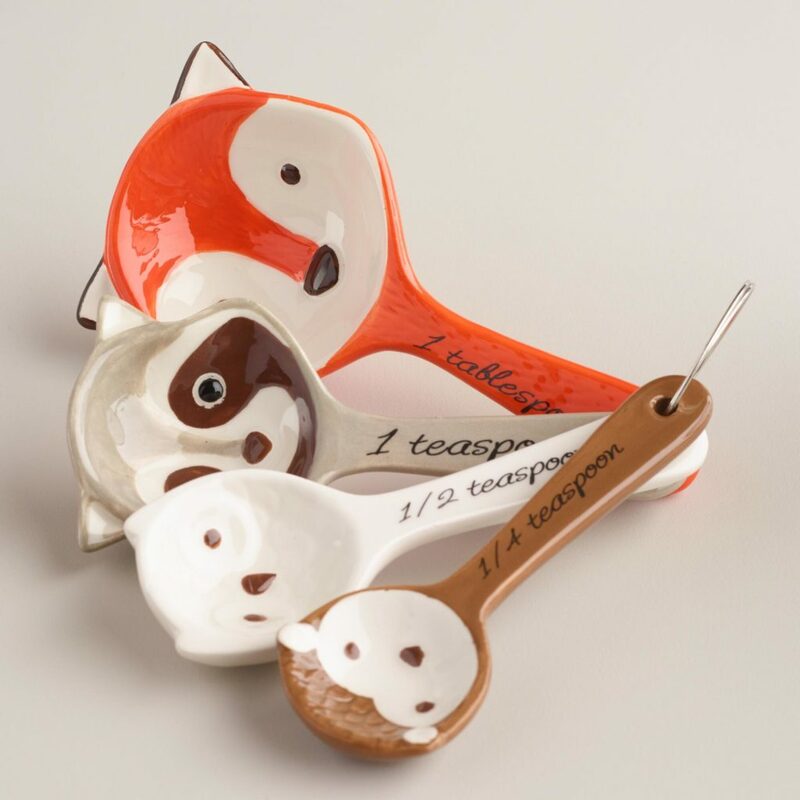 Festive, and perfect for the holiday table. 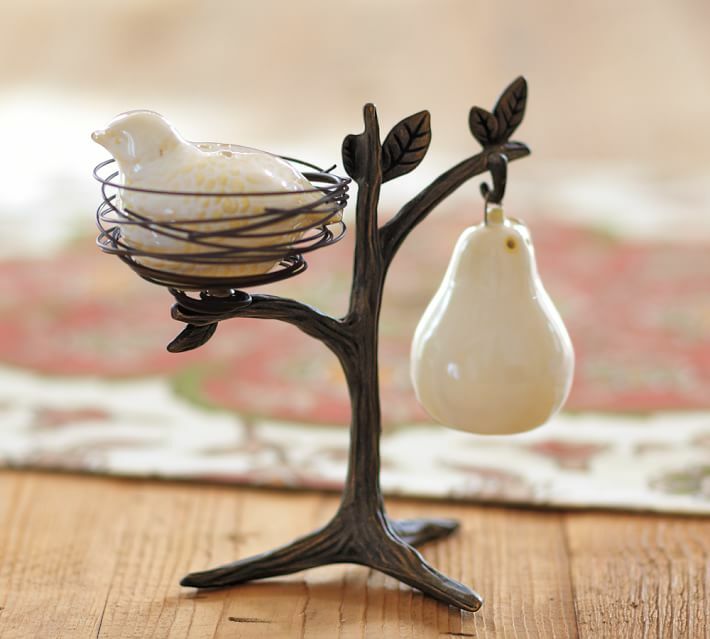 Your friends and family will go crazy over this partridge in a pear tree salt & pepper set! Any farm lovers on your list? 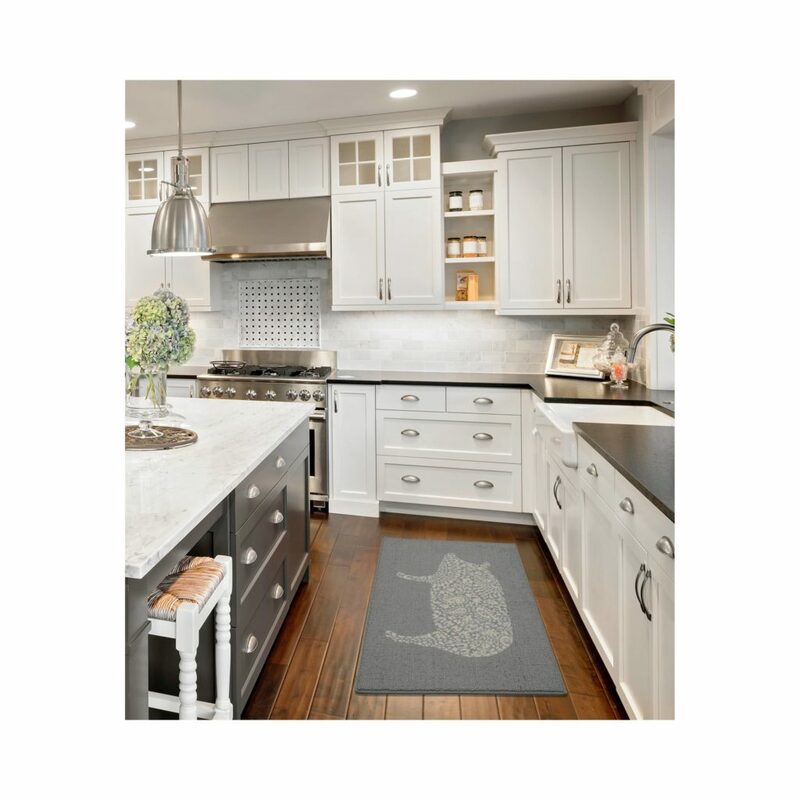 Target has the cutest little pig mat for their kitchen! 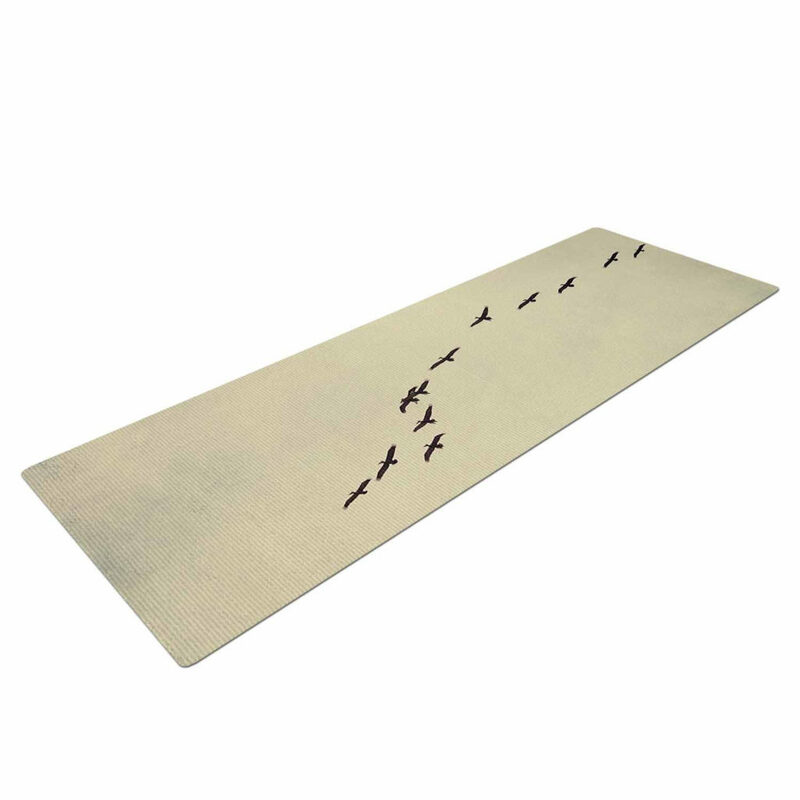 For all of those animal-loving yogies, this mat and S’well bottle are the perfect combo. 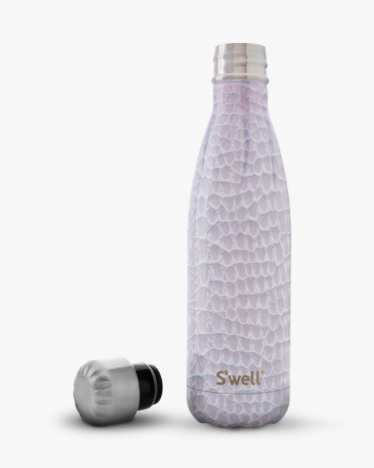 I have a S’well bottle for myself that keeps my water ice cold all throughout the hottest yoga classes, and my coffee hot all day at work! 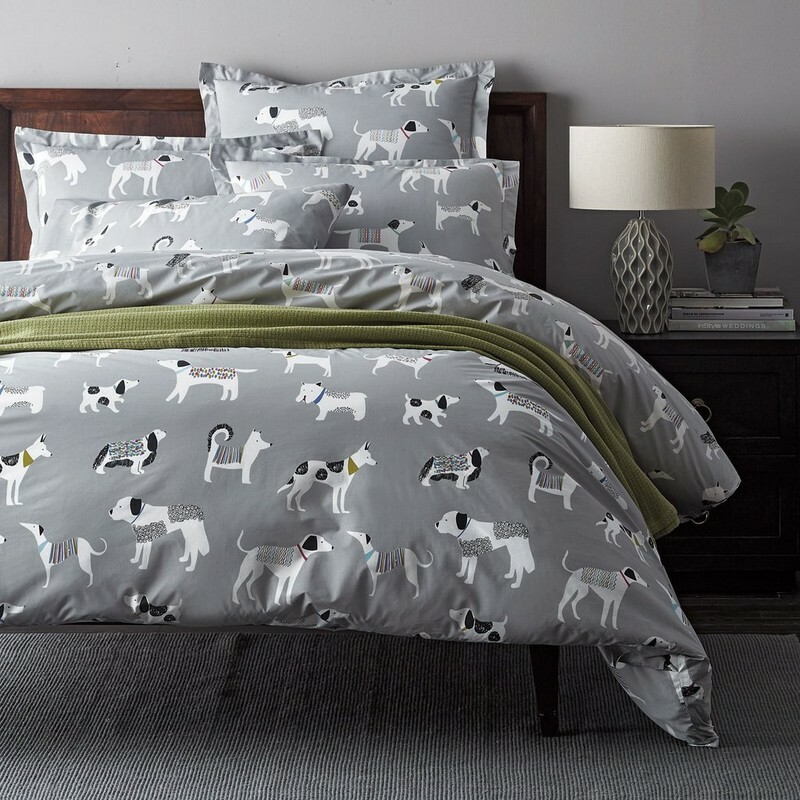 For the dog fanatics out there, you simply can’t resist this bedding. 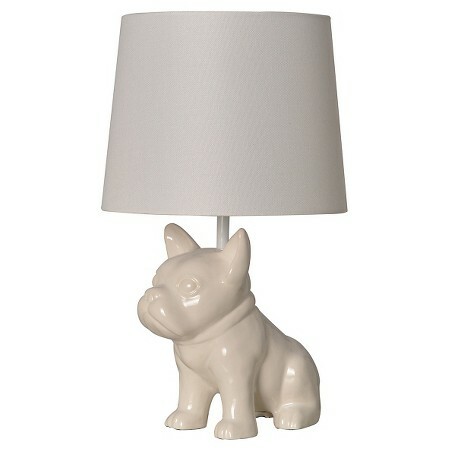 And maybe with a little bedside Bulldog lamp? 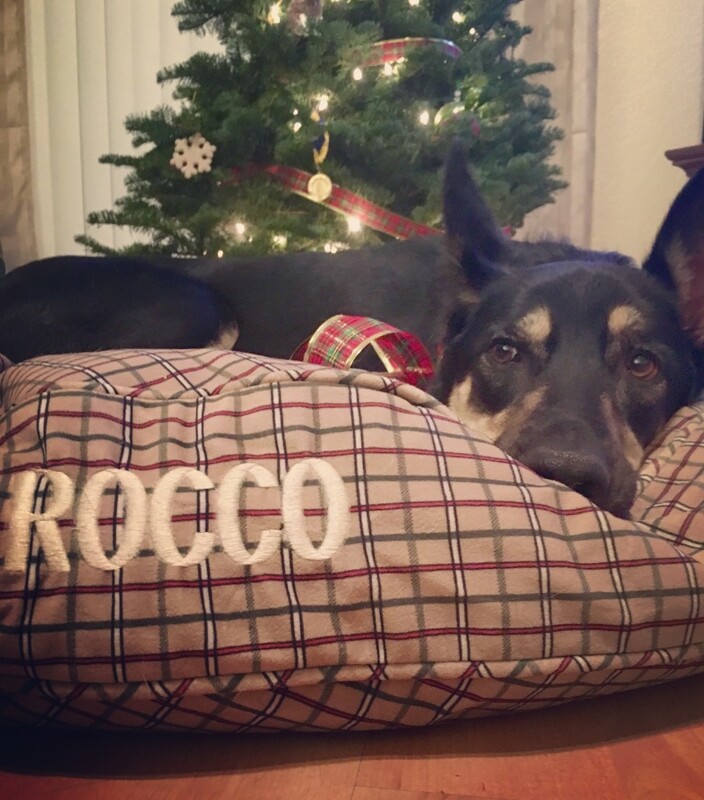 Now THIS is a bed Rocco would love! What’s your favorite animal on our list this year? 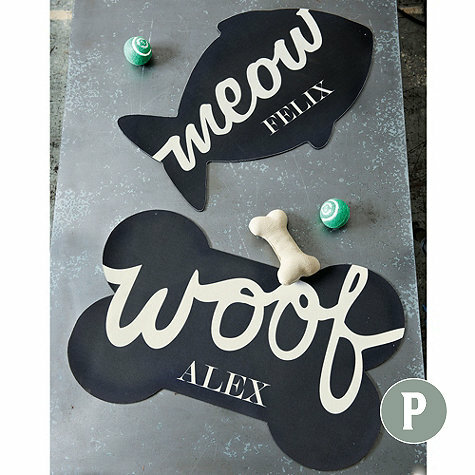 Whether you’re in the market for a new furry addition to your family, or already have a cat or dog of your own, you’re probably looking for some fun, creative ways to update your pet-friendly home. Growing up I had poodles, toy poodles! No shedding, no big wagging tail knocking over furniture and certainly never would my raincoat wearing poodle come in the house wet or muddy! These were house dogs, through and through! Fast forward to 2014. 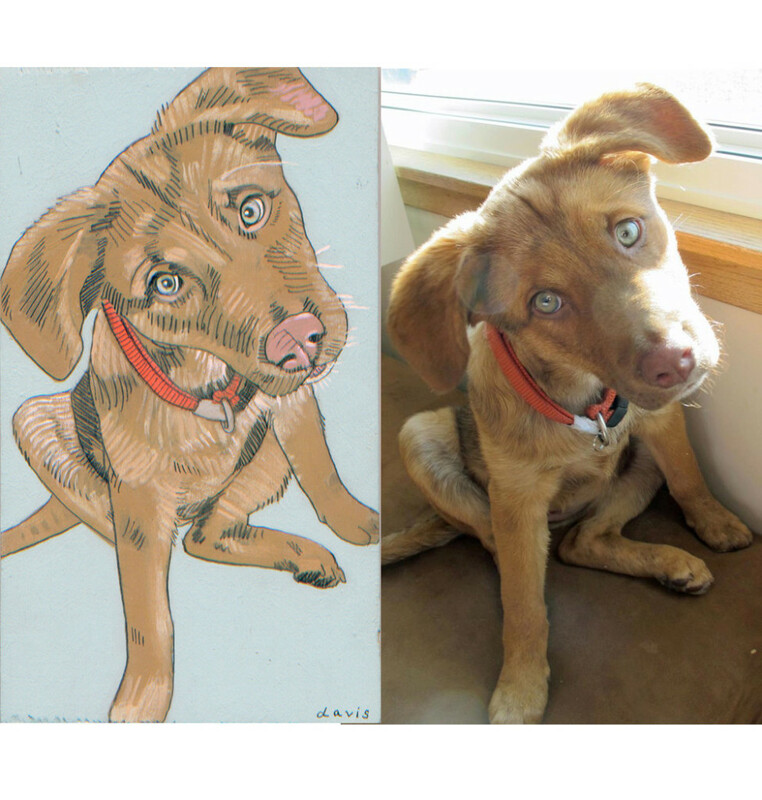 It seems all my clients now have dogs! 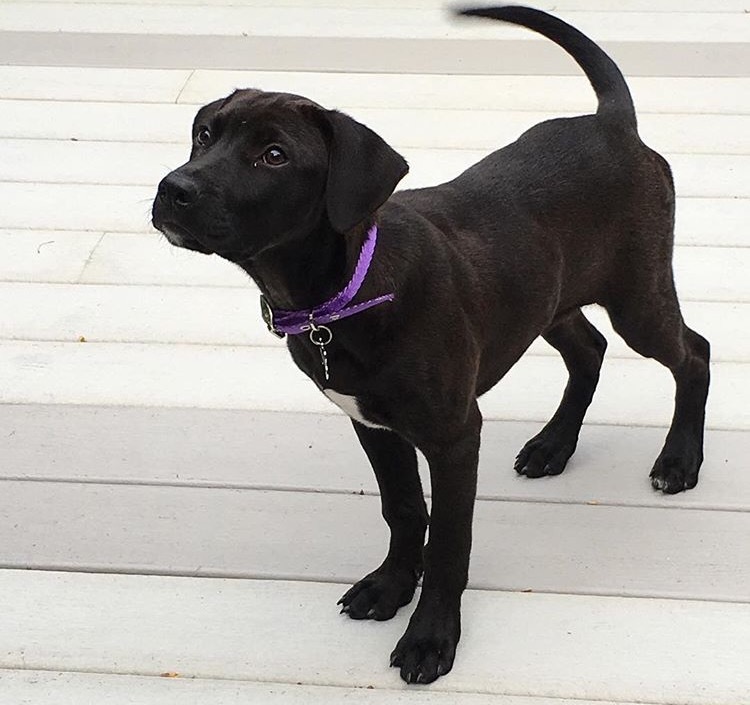 And not just any dog but a true member of the family. 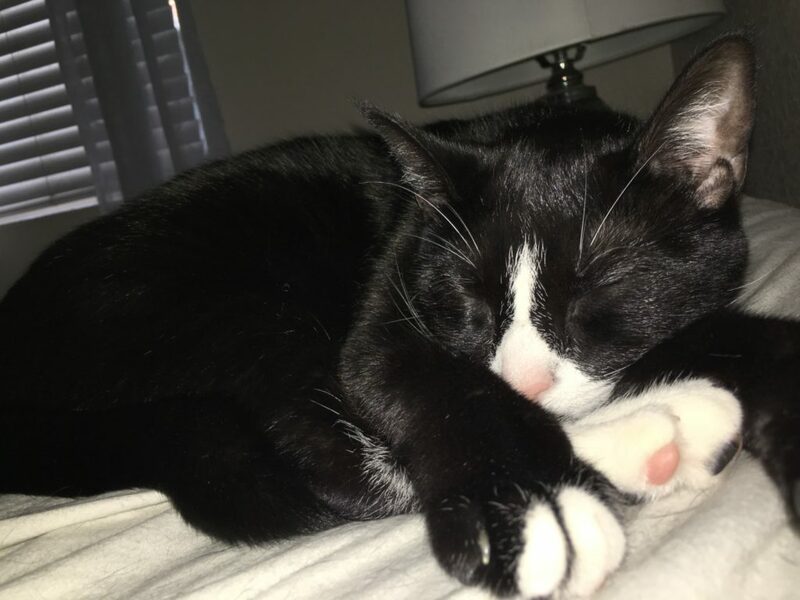 I have grown pretty attached to some of these four -footed family members and try hard to help incorporate their “lifestyle” in my design ideas. 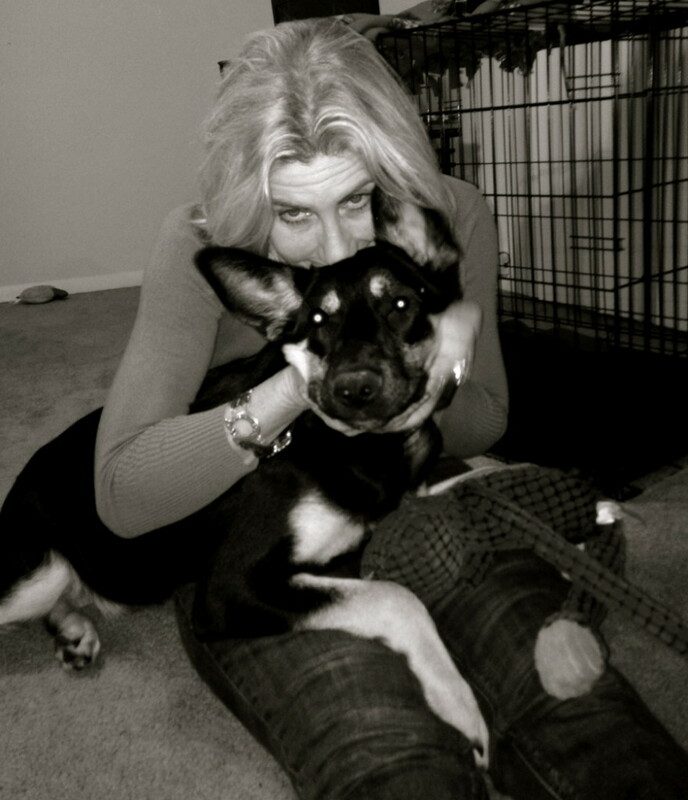 But it wasn’t until this past year that my daughter, Jillian, adopted two little fur balls of her own: Jamie, the tiniest little kitten you’ve ever seen; and Rocco, a giant, now 6-month old lab-shepherd mix. 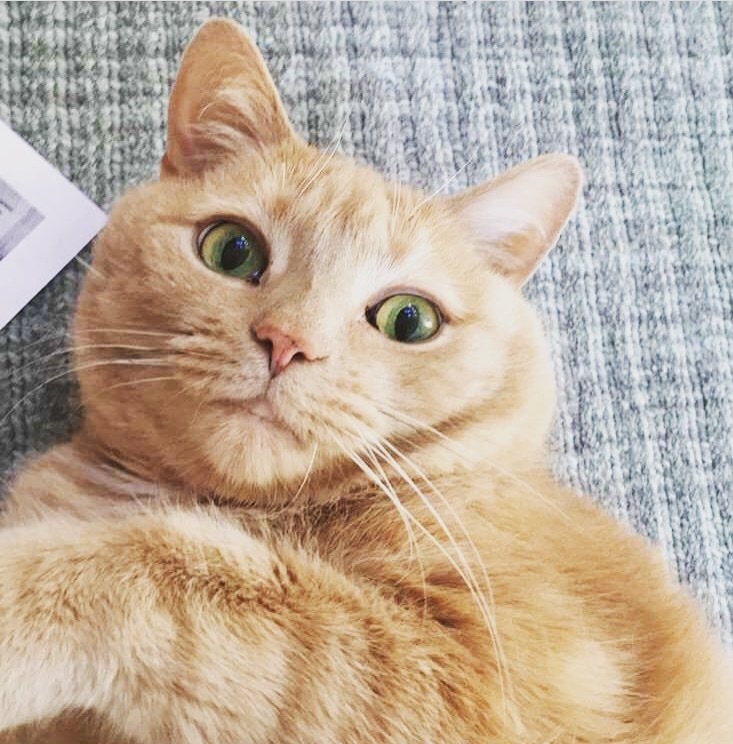 All of the changes Jillian has made to her house for these little ones taught me how to take the every-day things pet owners need in their home and make them fun and stylish for an all-over pet-friendly place! 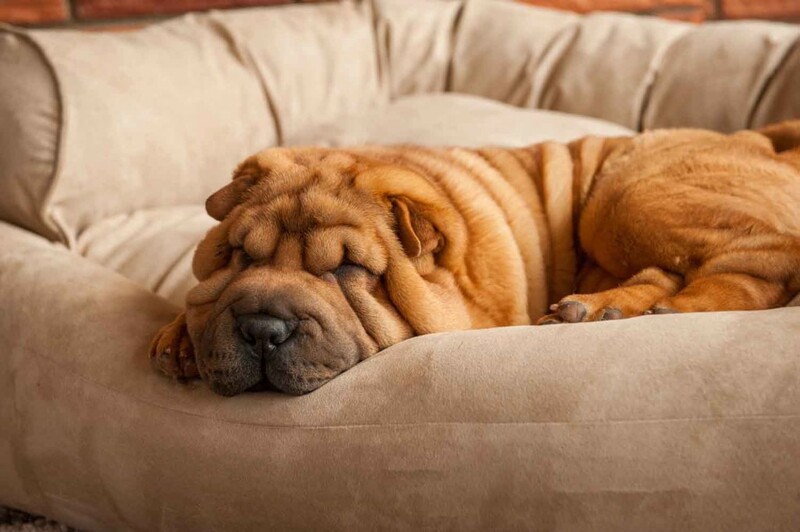 Whether you want him to or not, chances are your pet will eventually end up paws first on your favorite couch or chair. 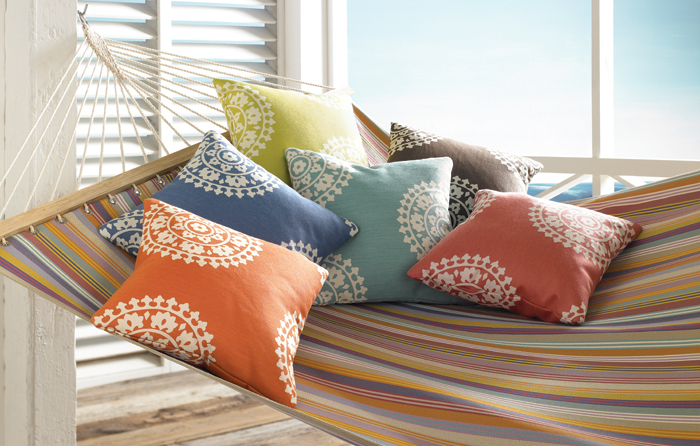 When choosing your fabrics, make sure you find something that is both durable and easy to wash. 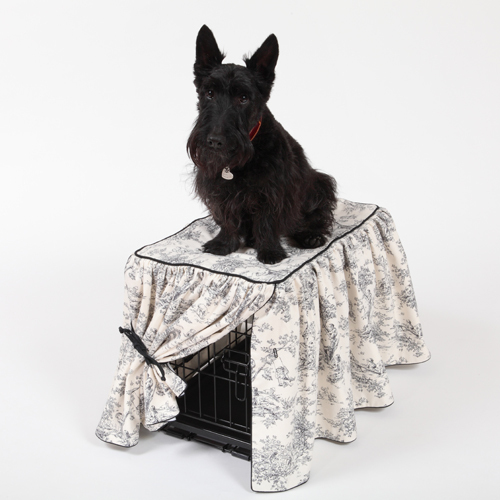 I love the Kravet Soleil line because their fabrics are so easy to clean that you can even use bleach to clean off extra muddy paw prints! 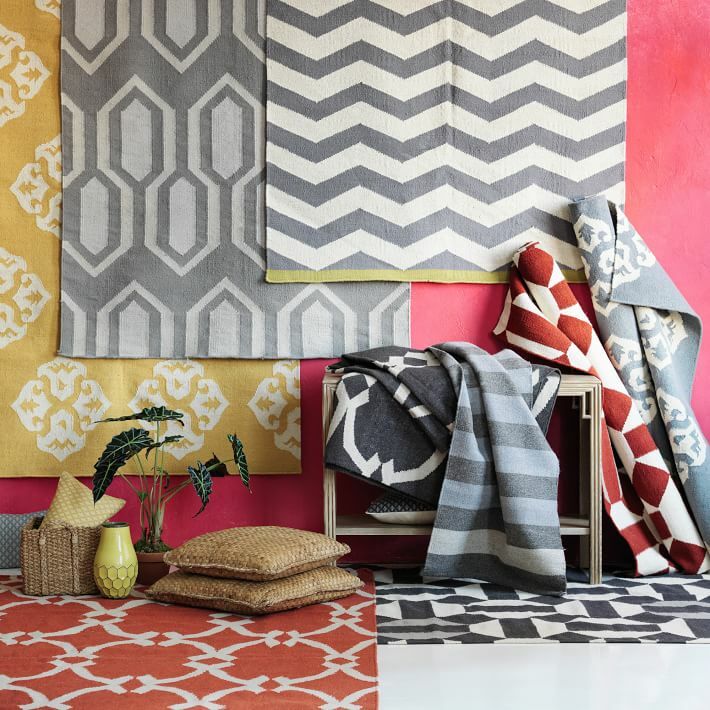 Fabrics like this are perfect for indoors and outdoors, not to mention their gorgeous patterns that will look great in any room of the house. 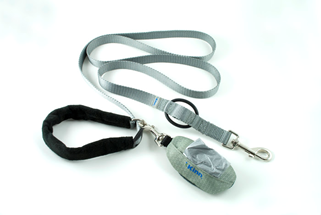 Keep your floors clean by feeding your cat or dog from an off-the-floor feeding station. 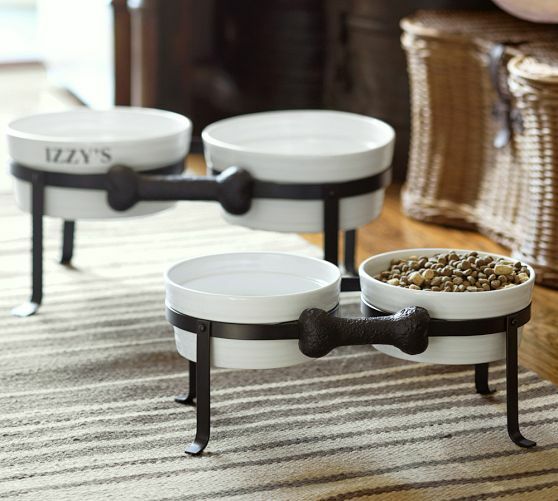 I’ve seen tons of these at discount stores like Home Goods, but we found this Dog Bone Pet Bowl Stand that we absolutely love for only $29.50-$49.50 at Pottery Barn. 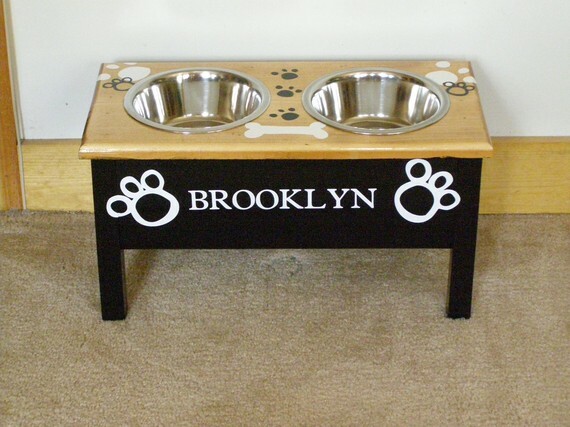 If you really want to spoil your little kiddies, try ordering a handmade, personalized pet bowl stand from Etsy! 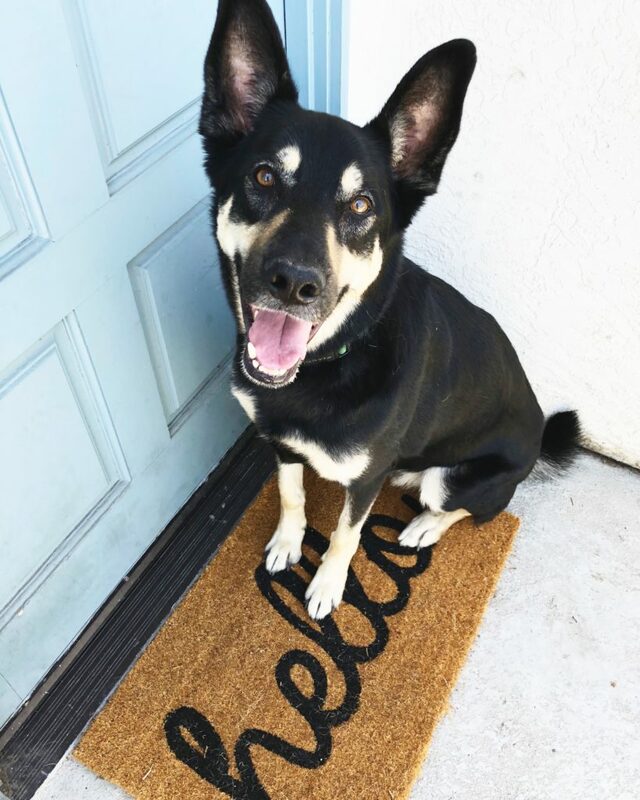 When your dog is running in and out of the backyard, you’ll want door mats that are easy to clean and can withstand any kind of weather. 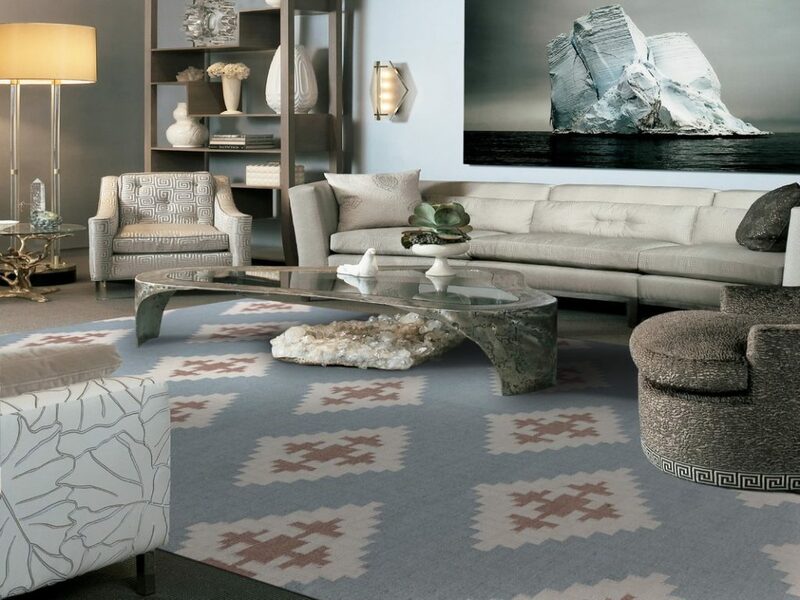 Not to mention, a rug that can be hosed off outside is just an added bonus! 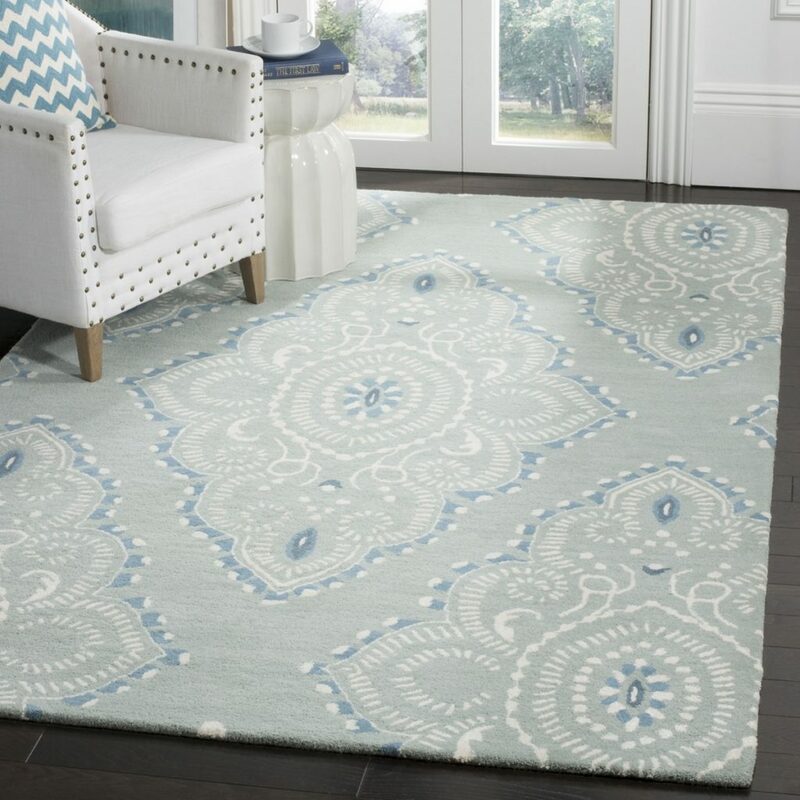 Chilewich doormats are perfect for pet-friendly homes in any season to keep your floors clean without sacrificing style. 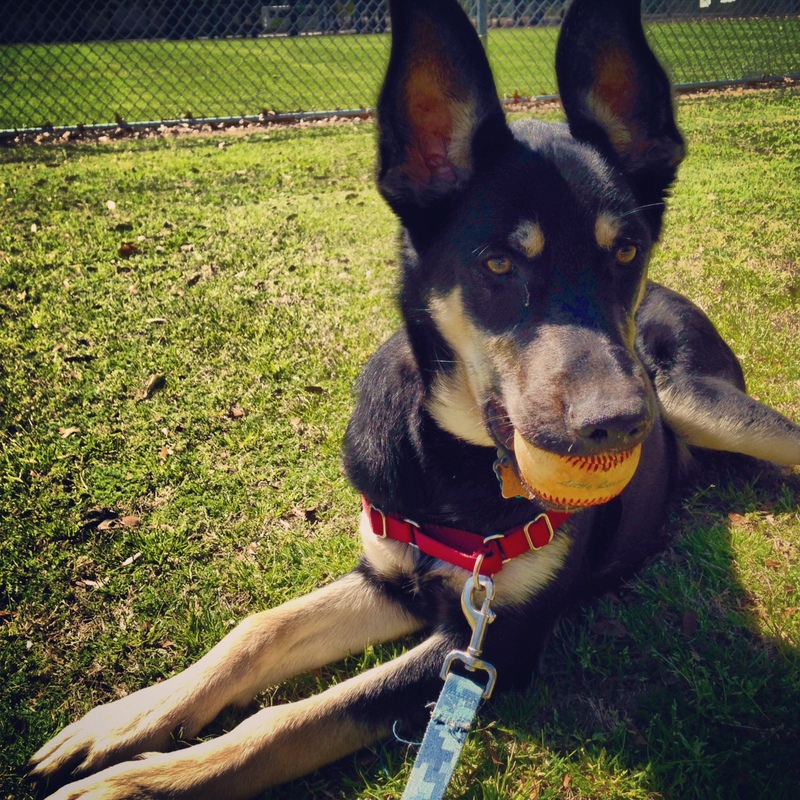 As the weather starts to warm up, you’ll want to spend more time outside with your pup. 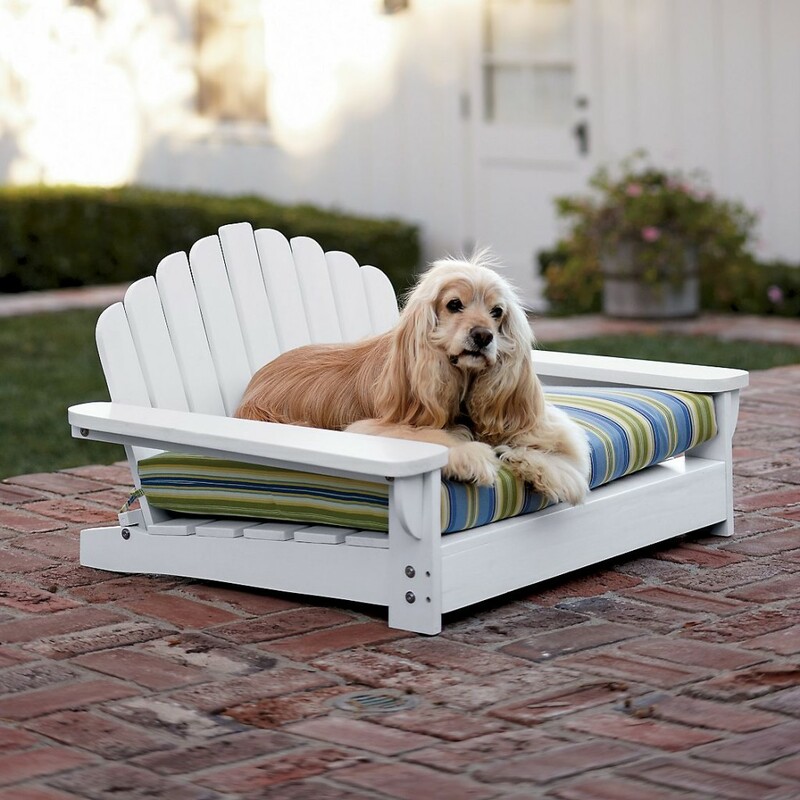 So why not let him relax on your patio in this adorable Adirondack Outdoor Pet Bed ? 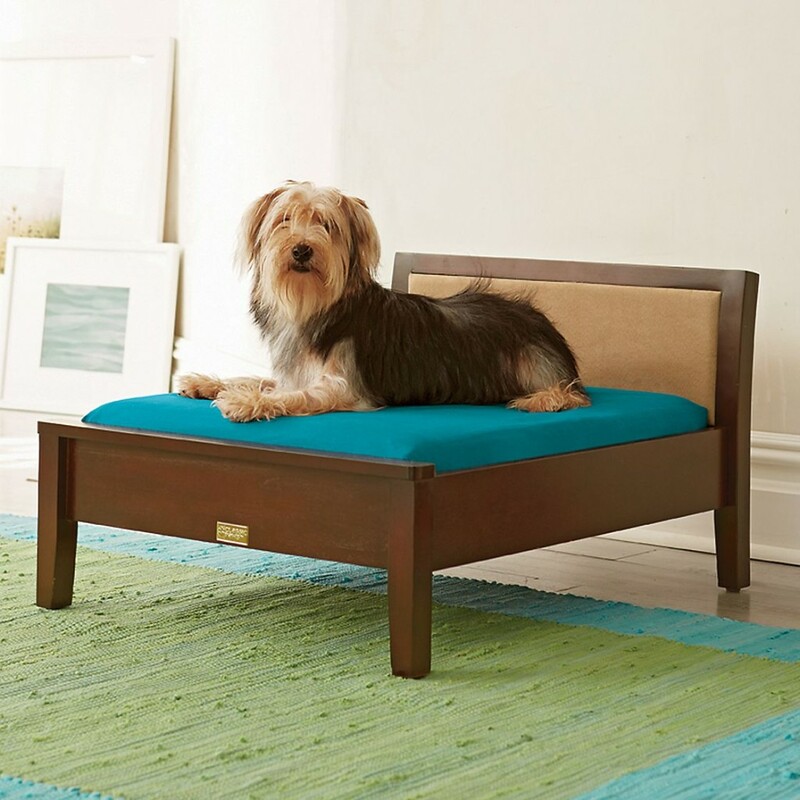 Not only will your dog love his new bed, but it will look great on your patio, too! 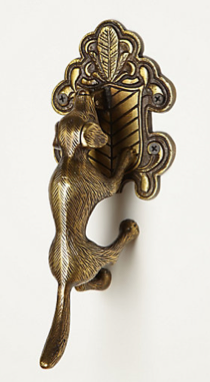 Have some fun decorating your house by accessorizing with little things like leash-hanging hooks and door knockers! 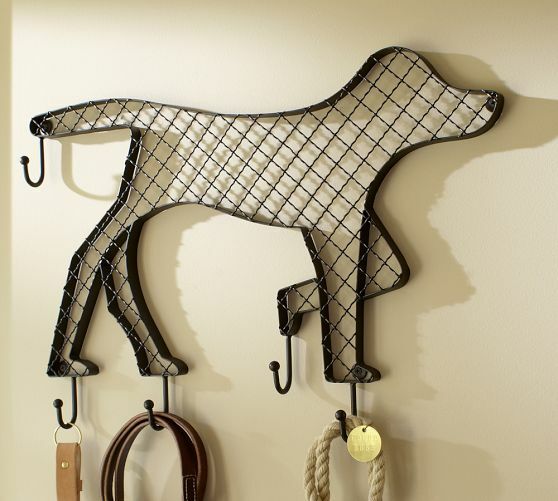 Instead of throwing your dog’s leash in a cupboard, find a funky hook to hang it from next to the door, like this Show Dog Hook from Anthropologie or a Doggie Row of Hooks from Pottery Barn. 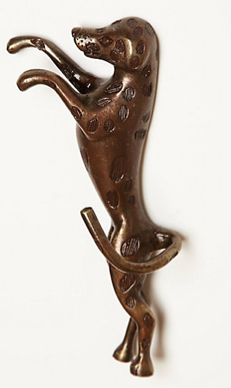 You could even match with this adorable Dash Dog Door Knocker ! 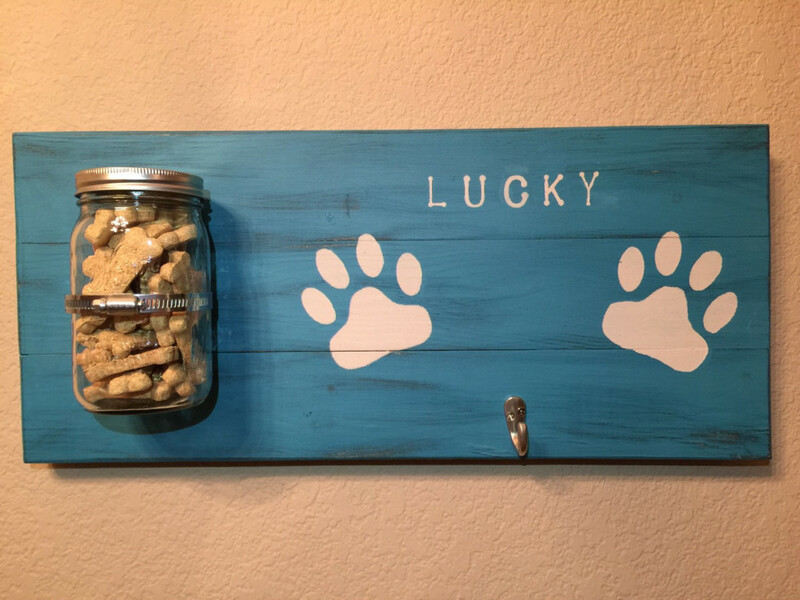 One thing every pet owner needs is a place to put all of your kiddie’s toys, blankets, and bones. 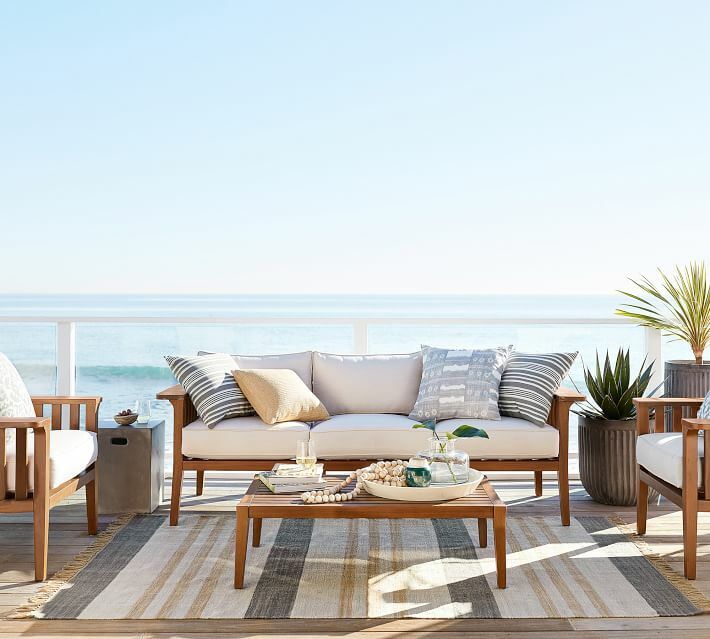 Instead of stuffing all of these things in a plastic container in the corner of the room, take this as an opportunity to add a little pizzaz to your living area! 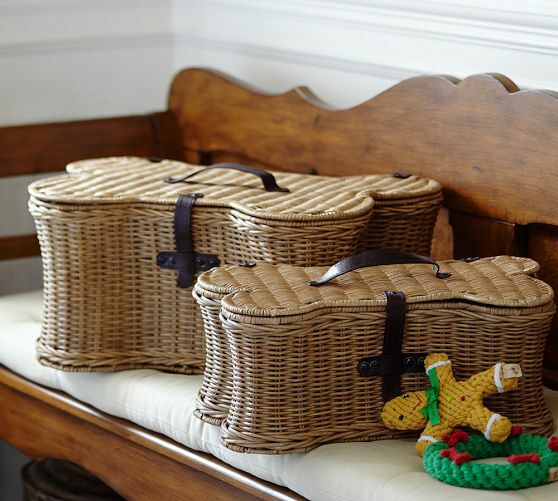 Since these things can get a little hairy from time to time, make sure you choose something that is easy to clean and durable, like the wicker Doggie Toy Basket from Pottery Barn. 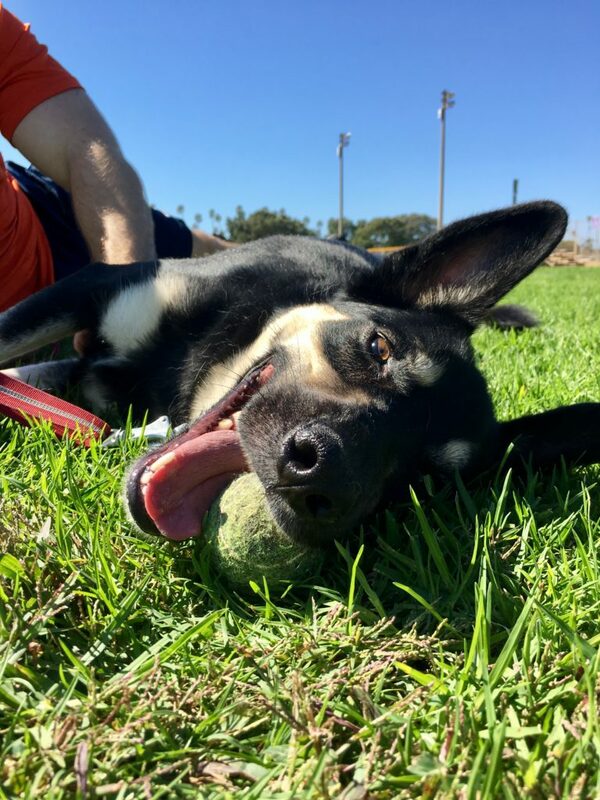 Hopefully now you’ll be able spend a little bit less time cleaning and more time enjoying your furry family!